The store-house of Foulis; more from the Andrew Wight on his journey north of the Cromarty Firth in 1781; improvement and innovation in 1700s farming; feeding oxen and horse; ‘a man of enterprising and comprehensive genius’; bere and barley. In ‘Great quantities of aquavitae‘, the farmer-traveller Andrew Wight commented in 1781 on the denizens of Ferintosh, on the Black Isle, who “utterly neglecting their land, which is in a worse state than for many miles around” preferred to spend their time distilling bere (barley) malt than tending soil and growing crops. Among places supplying grain to the Ferintosh whisky trade in the 1780s was (he reported) the farmland of Foulis (also spelled Fowlis), on the opposite, northern, side of the Cromarty Firth. Mr Wight rode his horse the long way round, but now Foulis is only a few minutes drive from Ferintosh over the bridge. Andrew Wight did not write about the girnal or store-house at Foulis Ferry Point. It was built 1740, that is 40 years before he passed by on his journey north from Inverness (and that’s about 275 years before now). It was built to store grain before it was shipped off to market or paid to people in kind for work or favours. The grain was grown by the estate or paid as rent by the tenants of the estate. They would grow grain on a farm or allotment and pay some to the landowner. Beaton (1986) reports accounts that the total barley received at the Store-House of Foulis in 1784 came to to 169 bolls two firlots. Example of payments ranged from 98 bolls one firlot from the tenant of Mains of Foulis to two bolls from a slater. The Store-House of Foulis (map reference NH 599636) today has been well restored, with its fine slate roof and well harled walls (images above). Though sometimes called Foulis Ferry Point, the ferry ceased to operate in the 1930s. New buildings have grown around the site housing a visitor centre, restaurant and shops. There area is rich in these store-houses or girnals as they were called, along the Cromarty Firth and up to Portmahomak. Beaton (1986) gives a map of locations. Mr Wight (IV.I p 241 onwards) writes about the crops, the farm animals, the owners, the improvers, the tenants and the peasants. Here are some excerpts from his journey along the north side of the Cromarty Firth from Fowlis eastward. Of Fowlis (Page 233), he regales against the old practices – “having a baulk between every ridge, upon which were heaped the stones removed from the ridges; the soil was taken off every third ridge, in order to ameliorate the two adjacent ridges; and the crops alternately oats and bere; and to this bad practice was added the worst ploughing that can be conceived.” But after the land was improved by the then owner, he reports (page 235) a wheat yield of ten bolls per acre. At Novar he remarks on the poor inherent quality of the soil, which is more than compensated by the desire of the estate to effect improvement to a degree that today would be thought of as ecological engineering. Several pages are devoted to the contribution of George Ross of Cromarty, MP a man of “enterprising and comprehensive genius”. He started a hemp manufacturing company employing many people and exporting coarse cloth to London and then a brewery for strong ale and porter, much of it “exported to Inverness and other places by sea-carriage”. Ed: Writing in 1810 after Ross’s death, Mackenzie (1810) states that the hemp trade was “now in a flourishing state. From (the year beginning) 5 January 1807, there were imported 185 tons of hemp; and about 10,000 piece of bagging were sent to London”. Ross was not so far off in his hopes for ship repair – Mackenzie refers to a ship being built there in 1810, and today there are deep anchorage and rig maintenance. Later on page 257, Wight comments on Mr Forsyth of Cromarty who manages a small farm divided into eight fields, and cropped as follows: “First potatoes, horse and hand hoed, with dung; second, barley; third, clover; fourth, wheat; fifth, peas; sixth, oats or barley, with grass seeds; seventh, hay; eighth pasture. … in this way ‘kept in excellent order, with the advantage of dung from the village”. Throughout his journeys, Andrew Wight speaks his mind, always ready to praise good farming and condemn poor practice. (You can sense these journeys are more than a job.) And while he accepts the social divides of the time – he was commissioned by the wealthy – notably between the landed gentry and their peasants, he condemns those of the former who ignore, ill treat or exploit and praises those who support and encourage the people to improve their lot by agriculture, manufactures and commerce. Other points to note are that legume crops (fixing nitrogen from the air) were common in crop rotations and that bere and barley are both mentioned but no clear distinction is made between them (see link to the Bere line below). Mackenzie, G S. 1810. General view of agriculture of the counties of Ross and Cromarty. London: Phillips. Wight, A. 1778-1784. Present State of Husbandry in Scotland. Exracted from Reports made to the Commissioners of the Annexed Estates, and published by their authority. Edinburgh: William Creesh. Vol IV part I. 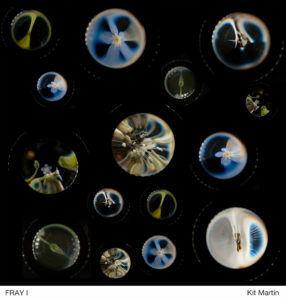 (See Great Quantities of aquavitae for further reference and web links). Canmore web site. Foulis Ferry, Granary. 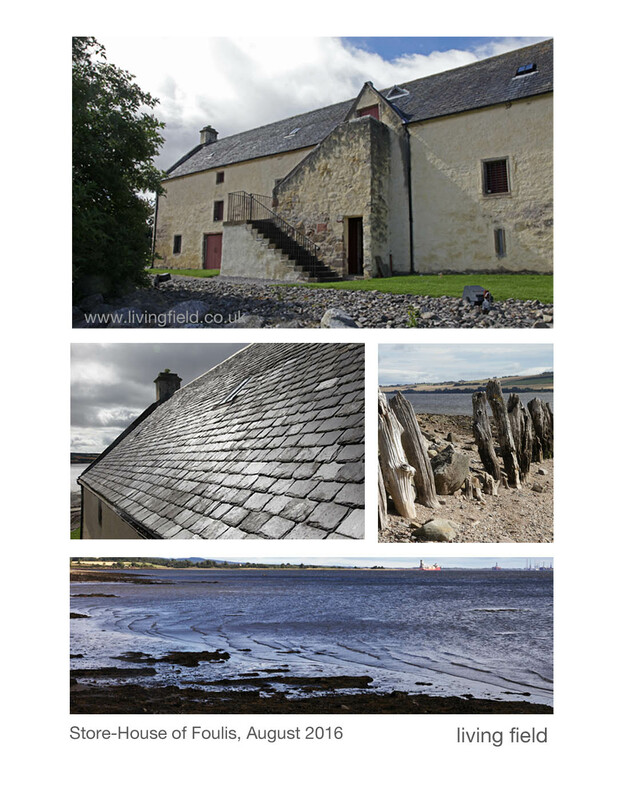 https://canmore.org.uk/site/12905/foulis-ferry-granary Notes on history with references. Those in the upper set were taken of the Foulis Store-house and its surrounds on a visit in August 2016. 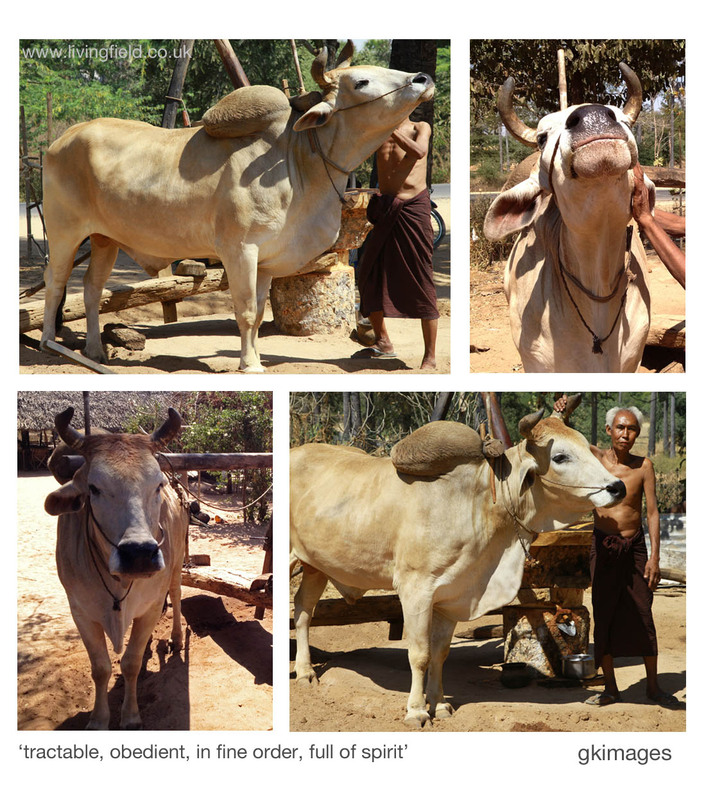 There were no ‘yoke of oxen’ around Foulis and Novar in 2016, so the Living Field acknowledges with thanks use of photographs from Burma (Myanmar) by gk-images, taken February 2014 (permission granted by the handler to take the photographs). The quotes below the images come from Wight’s text of 1784, and apply well to this magnificent animal). More from Andrew Wight on his travels in this region: Great quantities of Aquavitae and Great quantities of Aquavitae II. 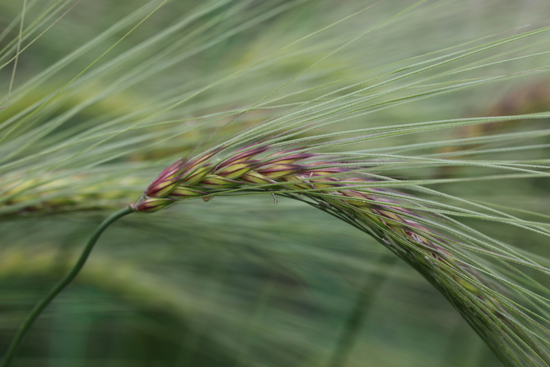 The distinction between barley and bere: The bere line – rhymes with hairline and Landrace 1 – bere. Maps of potato. legumes and vegetables in the region in the twenty-tens (and the relevance of this land over the last 2000 years? ): Can we grow more vegetables? Bere and barley both named in Andrew Wight’s journeys of 1778-1784. Bere as the substrate for aquavitae. Bere as a nurse for grass. Bere seed maintaining its mass to volume ratio. Bere fertilised with seaweed. 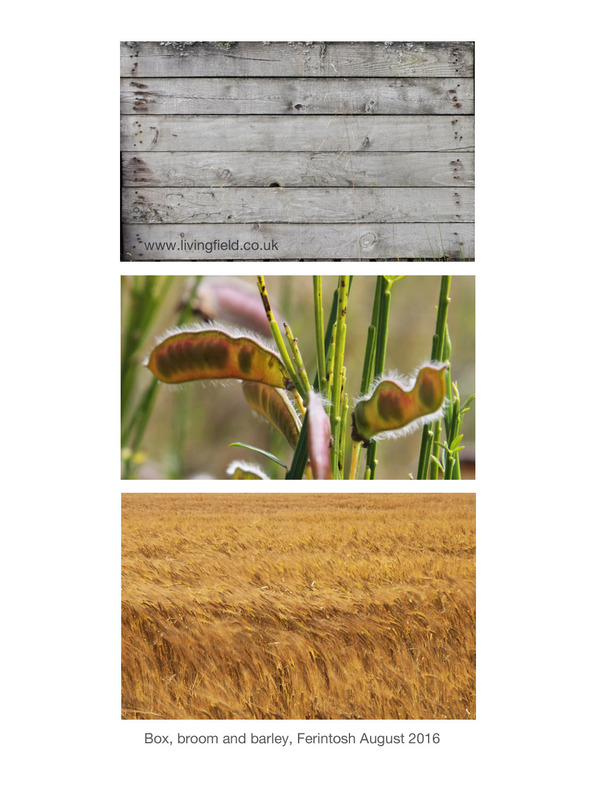 A note in the Living Field’s Bere line …..
Andrew Wight, a farmer from East Lothian was commissioned to undertake a series of tours in the late 1700s to examine and report on the state of agriculture in Scotland. His work was published anonymously between 1778 and 1784, but is invariably referred to by his name, and quite rightly, since it was a major undertaking and the best single guide to the state of agriculture during the long ages of improvement (reference below). He travelled by horse to mainland areas, meeting farmers, tenants and landowners and noting the improvements, or lack of them, to husbandry . 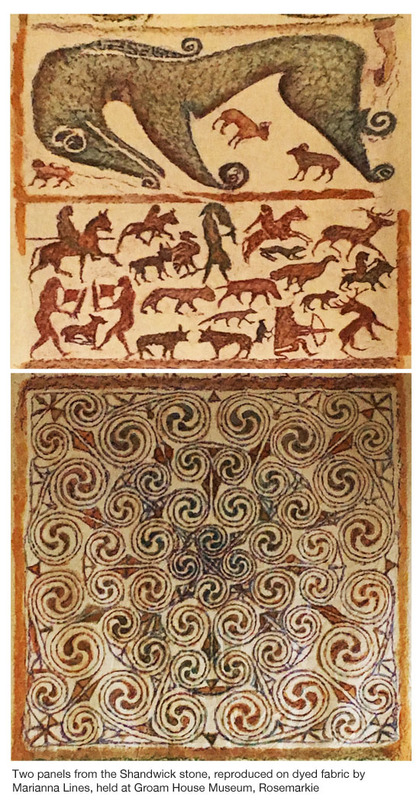 Throughout he refers to both barley and bere, sometimes in the same place, which suggests he considered them different things, presumably bere being the 6-(or 4) row types and barley the 2-row. He related many anecdotes about bere. Here are a few of them on the journey north from Inverness to Sutherland. He visited the area around Ferintosh, on the Black Isle, owned by Forbes of Culloden. Ferintosh was …. “famous for the great quantities of aquavitae made there under exemption from duty. I am told that there are no fewer than 1000 distillers in that place, wholly occupied in making spirits, utterly neglecting their land, which is in a worse state than for many miles around”. He goes on to write “great quantities of bear are imported from the neighbourhood, and malted there as Ferintosh bear: Not only so, but quantities of aquavitae made elsewhere are carried to market as Ferintosh”. [Ninth Survey Vol IV.I, p. 238]. So you can imagine all these bear harvests from all around, going, not into mouths of people and animals as meal, but to distilleries at Ferintosh, and whisky coming out for export; and everyone so involved in making the stuff that the land went to waste. But these days bear grain contributes to only a few specialist malts. Most are made from two-row barley. Wight implied that exemption from duty was granted as a monopoly to that particular estate before the Union, and became ‘destructive to fair trade’ and ‘the occasion of manifold frauds’. Back-handers and dodgy labelling – what’s changed? But the distillery went out of business in around 1785, presumably because other distillers complained abut the unfair exemption. At Invergordon, he writes …. ‘Wheat on this strong land was very good; barley after turnip excellent; beans and pease are never neglected in the rotation; oats in their turn make a fine crop; but above all, the old pasture excels. Later, at the same place, he tells of a method used to protect new-sown grass pasture. The farmers anticipated a demand for hay or grazing the next year that current grass fields could not supply. So what could they do? They could sow more grass late the present year (September), but what could be done to avoid the seedling grass being damaged over the winter. The solution was to sow grass (which then included various legumes and ribwort plantain with rye-grass) and then … he related…. Repeatedly, the writer points to farmers who use lime or marl to reduce acidity, and dung to replenish nutrients taken from the soil by previous crops. Soil fertility was probably the major limitation to maintaining yield. At Lochbeg, Sutherland, about Mr Gilchrist, the proprietor, he writes “His mode of cropping is one half (the land?) under bear, manured with sea-weed, which is spread on the ground directly, and mixed with soil in spring in two ploughings. Three firlots sowed yield seven bolls per acre.” [Ninth Survey, Vol IV.I, p 307]. An uncertainty in interpretation here seems to be what is meant by the word ‘degenerates’. 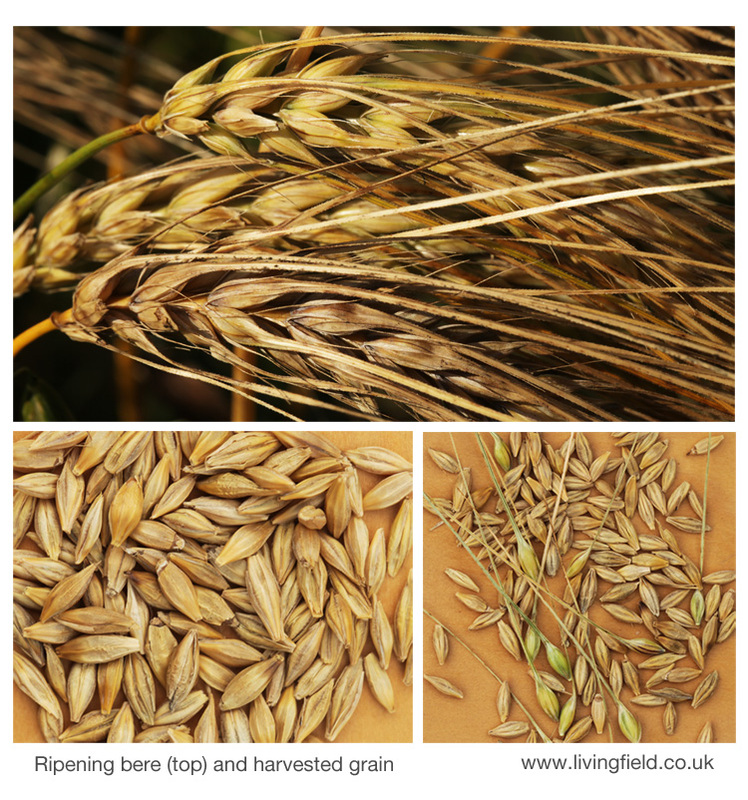 All cereal harvests consist of grain (seed) that is used for food or sale and the supporting and protective ‘stuff’ around the grain – the stem, the spiky awns, the coverings. A good harvest has a high proportion of grain to all the rest. 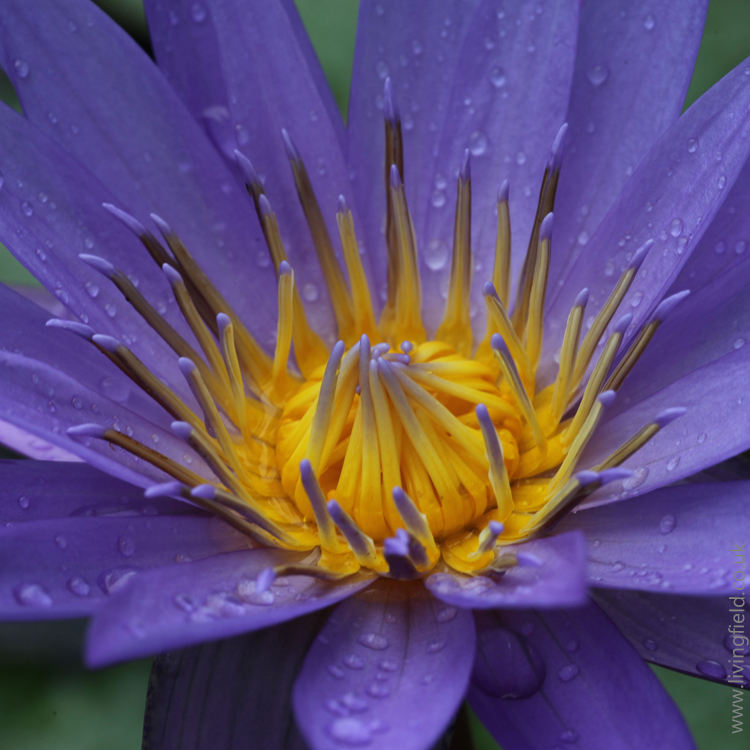 But grains will only grow to their full extent if they have enough nutrients from the soil. 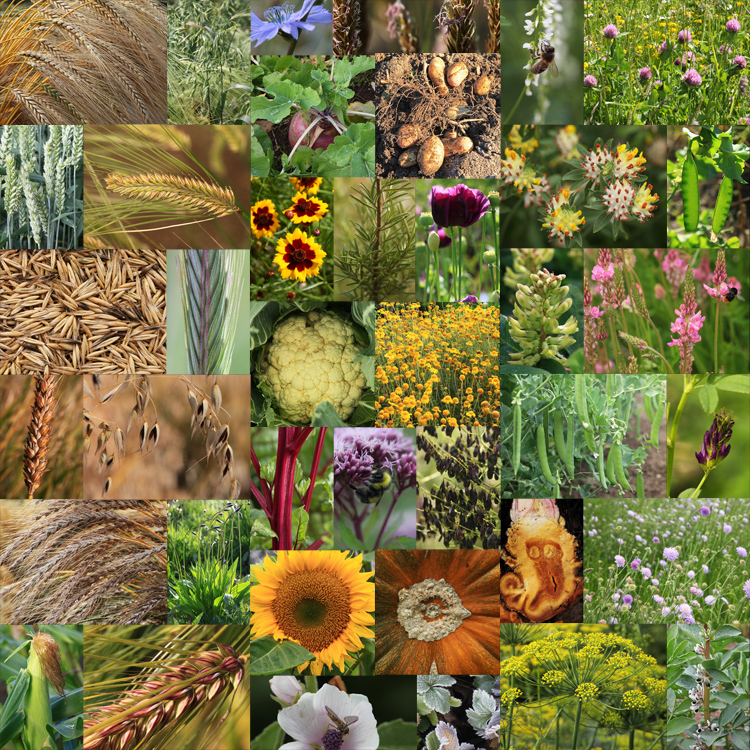 We have noticed in the Living Field Garden, where bere and other cereals are maintained by saved seed, that the plants might put out all the supporting and protective materials, but if nutrients are short, then the grains do not fully fill. 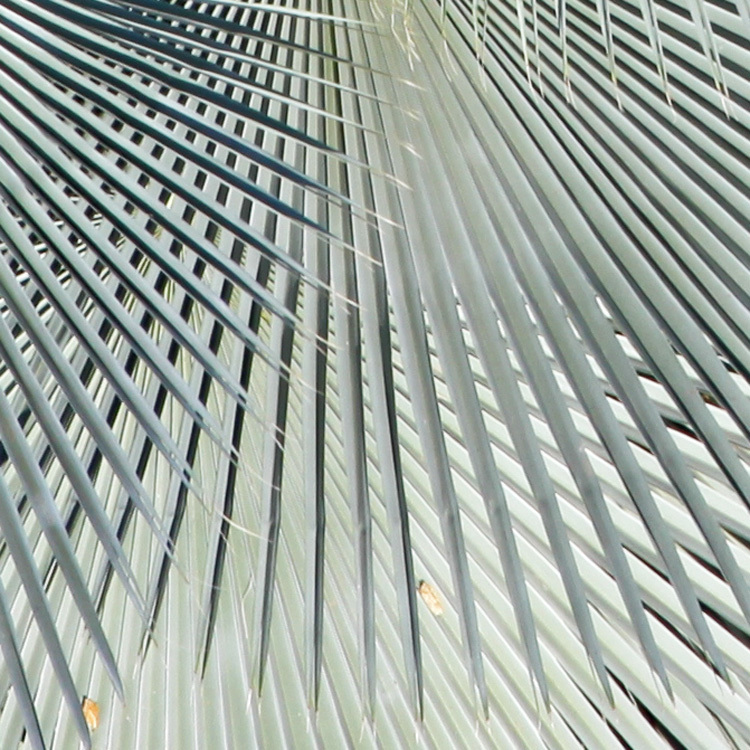 The resulting harvest is not heavy per unit volume of material. A crucial feature of the bere on the estate that Mr Wight refers to seems to be that the ratio of volume to mass of grain (firlots to Amsterdam stones) is maintained over time. The heaviness does not decline presumably because soil nutrients removed by the crops are replaced by nutrients from elsewhere on the farm and this happens ‘time out of mind’. This may be a case of highly effective, scientific, nutrient management centuries ago – before labs, remote sensing and intelligent machines. [There will be more from Andrew Wight in future notes on the Bear line – rhymes with hairline]. Wight, A. 1778-1784. Present State of Husbandry in Scotland. Exracted from Reports made to the Commissioners of the Annexed Estates, and published by their authority. Edinburgh: William Creesh. Vol I, Vol II, Vol III Part I, Vol III Part II, Vol IV part II, Volume IV Part II. All available online via Google Books. With thanks. Ayrshire in the age of improvement. Contemporary accounts of agrarian and social improvement in late eighteenth century Ayrshire. 2002. Edited by David McClure. 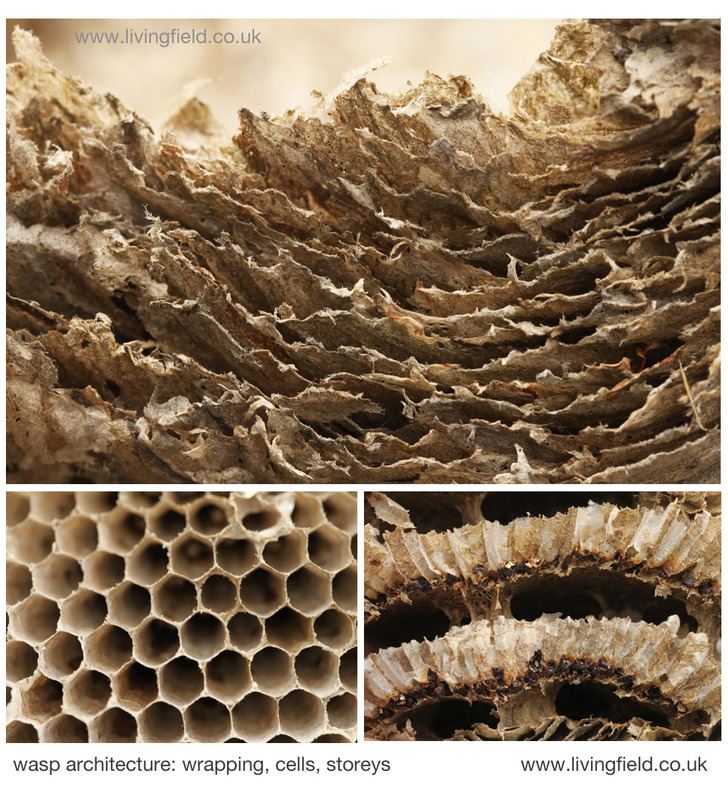 Published by Ayrshire Archaeological and Natural History Society. [The introduction gives background to Andrew Wight’s mission and journeys.] Available online.